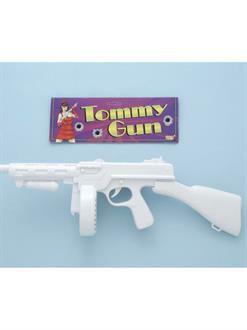 Nobody will get wise with you while you're holding the White Tommy Gun. This toy gun features an all white body that resembles the classic mafia weapon. Add it to your gangster costume for a fearsome tough guy appearance.